The number of car shoppers who avoid U.S. brands because of perceived quality problems has reached a record low, according to a new study released today by J. D. Power and Associates. In its annual Avoider survey, Power researchers found that the number of shoppers who avoid cars made by General Motors, Ford and Chrysler because of worries about reliability has dropped to 6 percent, the lowest ever. Meanwhile, the equivalent number of shoppers avoiding imported brands on quality grounds has risen to 14 percent, the highest level since the study began in 2003. "The decline in avoidance of U.S. models due to their origin reflects a buy-American sentiment that surfaced as the economic recession led to domestic job losses and adversely affected major U.S. institutions such as the Detroit Big Three," said John Osborn, Power research director. "In addition, the quality, dependability and appeal of domestic models has improved during the past several years, as well, and this may also be a cause for declining avoidance." -- Perceptions of quality and reliability caused 43 percent of shoppers to avoid certain brands, the largest factor. Frequently, however, this perception was based on conventional wisdom or hearsay rather than reliability research from Power, Consumer Reports or elsewhere. -- Among attractions for particular brands, gas mileage now has become No. 1, topping even reliability and exterior styling. -- The emphasis on gas mileage in addition to environmental impact led a rising number of shoppers to consider -- though not always to buy -- electric cars Chevrolet Volt and Nissan Leaf plus the best-known hybrid, the Toyota Prius. Top reasons for considering these models differed, however. Those who looked at the Volt liked the image it projects. Leaf shoppers liked low maintenance cost and those considering Prius cited reliability. Reasons for avoiding these models also differed. 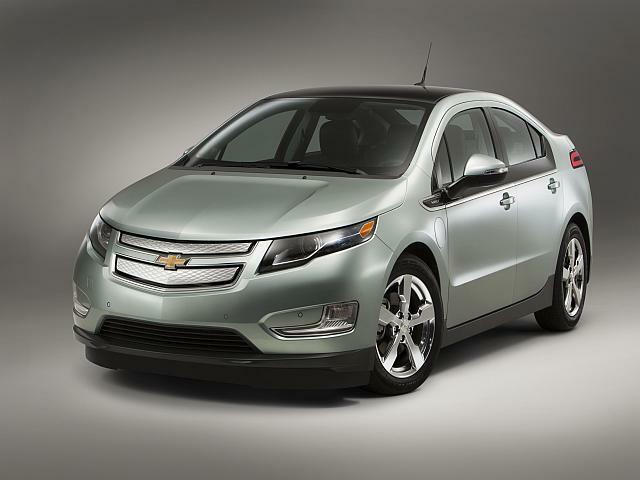 Volt avoiders cited the high price ($41,000 before a $7,500 federal tax credit.) Avoiders of the Leaf and Prius said they disliked the exterior styling. Overall, however, the perception that U.S. brands are equal or better in quality is the big news here. Not long ago, many buyers of Honda and Toyota models cited those cars' reliability and said they would never buy an American car again.